The goal of any healthcare provider is to improve the patient experience, but what most healthcare providers fail to recognize is that the experience starts well before the patient enters their facility. Before anyone commits to a healthcare provider, they will do some research on Google, take a look at social media and scour websites for patient reviews. Health is very important, so it’s no surprise people are researching providers and facilities to find the best service suitable to them. To get more patients through your door and to give them the best experience, be sure to leverage the power of your digital channels such as social media, email, business listings and your website. 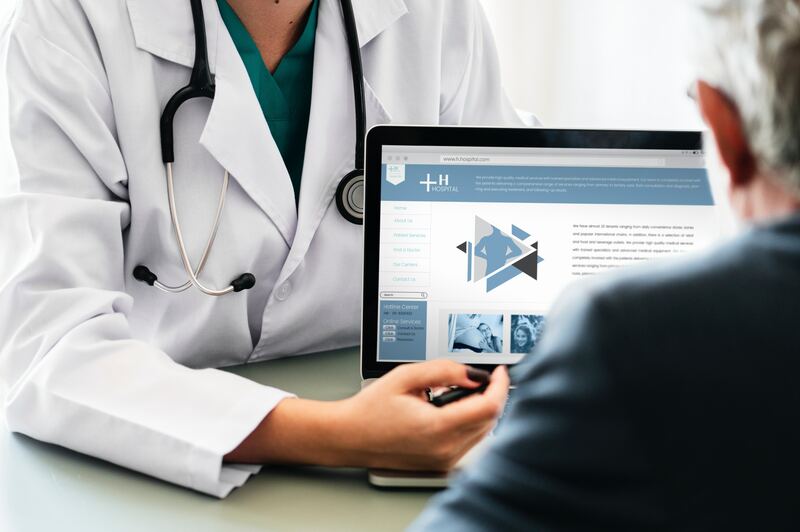 Here are some marketing tips for healthcare providers that not only increase leads, but improve the relationship you have with your patients. Internet usage among adults has skyrocketed in the last decade, and with the generation shift, more and more patients are accessing the internet to make their healthcare decisions. If there is one thing you should focus your efforts on first, it’s a reliable and trustworthy website that is easy for all ages to navigate and understand. Your website is typically the first place someone will seek out information about your institution and that's the time to create a first, lasting impression. If people can’t quickly find what they’re looking for, chances are they will move onto the next provider that has the information they need more readily accessible. Make sure your website is patient-focused and the main page displays your offerings clearly. A blog allows you to share patient related content that is not necessarily strictly focused on your facility. There are 35 million online medical searches everyday, and a blog is a powerful way to leverage those searches to capture potential patients. Keep a scheduled content calendar that is timely and relevant to your site visitors, such as when certain health issues are more prominent, like flu season. Your blog should be an educational forum that answers the important questions your patients are seeking. That way the next time the patient needs to visit a doctor, they are more likely to consider your services if they’ve come across your practice before. User generated content (UGC) can cover a wide range of categories, but what you’ll find most powerful are reviews and testimonials. Feature UGC content to build credibility among the people who are considering your facility. In a case study by WEGO Health, it was proven that a featured patient leader video led to a 7X increase in visits. Testimonials have a significant impact because they offer a level of trust through real-world experiences. An email is a way to connect with your future patients, and one way to really improve someone's experience is to anticipate their medical needs. Send email newsletters on a monthly basis that tackle common issues that your patients are seeking out on the internet. This not only educates your readers, but also provides them with content that is useful to their own health. The way to make this most effective is to vary your content based on your audience interests. You can share some of your blog posts or videos to capture their attention, and make sure they are timely with what is going on in the industry. Social media continues to be the fastest-growing medium for consumers who are seeking health information. As much as 41% of people said that social media affects their choice of a doctor or healthcare provider. It’s essential to use a variety of outlets such as Facebook, Twitter, Instagram and more to engage with your patients, build awareness and establish a community. Each outlet needs to feature content that is tailored in order to stay relevant and reliable. Publish content such as common health questions, correct a common health misconception or even interview a patient. The possibilities are truly endless. Tailoring each outlet in a different way allows you to reach a wider audience based on demographics such as age and interest groups. We are a society that loves visuals —videos, images, 3D — you name it. Invest more time in the creation of high-quality videos and photography that you can utilize on your website, social media and more. Virtual reality is peaking interest for many industries and one way to stay ahead of competition is to create virtual tours of your medical facility. This allows potential patients to experience your facility from the comfort of their homes, make decisions about where they may be staying, and get a better feel of the space. Virtual tours are also a great way to showcase your state-of-the-art facility and the different departments that you offer. Show your patients your newest technology that will provide them with current medical treatments. No matter how good you are with keeping your content fresh and interesting, it’s useless if no one can find it. There are many ways to improve your Google search results which you can read about in our previous post. Make sure that you use popular search terms for the healthcare industry so that your patients can find your resource from search engines. This ensures that patients can find and enjoy your engaging content that you created using these tips! There you have it — seven marketing tips for healthcare providers to get more patients through the door! If you have questions on how to utilize any of these tips in your marketing efforts, contact us today!